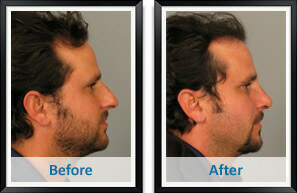 Rhinoplasty, a form of surgery also known as a nose job, is a procedure intended to reshape a patient’s nose. This could be done to create a more attractive appearance, assist in health related issues such as breathing problems, or both. Even the smallest of changes to a person’s nose can have a huge impact on how they look and feel. Because of this, it is especially important to be open with and work closely with your plastic surgeon during the consultation process. By doing so, you can ensure the best possible results from your cosmetic surgery. When it comes to rhinoplasty surgery there are two approaches: the closed technique and the open technique. With the close technique the incisions are made inside the nose. The obvious advantage to this is that there is no chance for visible scarring. The main difference with the open technique is that the internal incisions are coupled with a small incision between the nostrils. This incision heals quite quickly and is in a rather inconspicuous spot, which makes any scarring practically unnoticeable. The advantage to the open approach is the increase in predictability, flexibility, and precision that the extra incision provides. The more changes that are needed, the more highly recommended the open technique is. Rhinoplasty is often paired with other facial augmentation procedures, such as chin implants and neck reshaping, to create a completely balanced face. A rhinoplasty can also be combined with additional surgery to treat breathing issues, such as those related to a deviated nasal septum.